Yesterday I recorded WM 82: Review: Karl Barth and Evangelicals (listen here). In this episode I offer a review and some responses to Mark Galli's new book: Karl Barth: An Introductory Biography for Evangelicals (Eerdmans. 2017). Mark Galli is editor of Christianity Today. He provides a sympathetic review of Barth's life and thought. 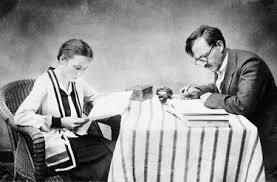 One of the more controversial aspects of Barth's life raised in the book concerns the nature of his relationship with his assistant Charlotte von Kirschbaum. 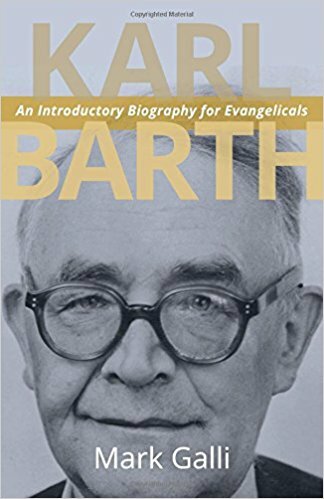 In the closing chapter of this engaging overview of Barth’s life and thought, Galli raises an interesting justification for Barth’s value for modern evangelicals. He notes that Barth’s theology made waves in the early twentieth century, because he challenged the Protestant liberalism of his day, epitomized in the theology of Schleiermacher (and his stress on feelings and experience) and Ritschl (and his stress on morality and ethics). What one finds today, says Galli, is “liberal” evangelicalism. “New evangelicalism” is just “a reincarnation of the theology of Schleiermacher” (141). So, Galli, concludes, Barth offers modern evangelicals “a theology that can prevent feeling and ethics from taking over and sabotaging the church’s mission” (146). I believe that Galli is largely on target in his suggestion of parallels between contemporary broad evangelicals and last generation’s Protestant liberalism. Where I would take exception would be in his suggestion that Barth’s theology is the proper treatment for what ails evangelicals. Rather than Barth, how about a dose of John Calvin or John Owen?